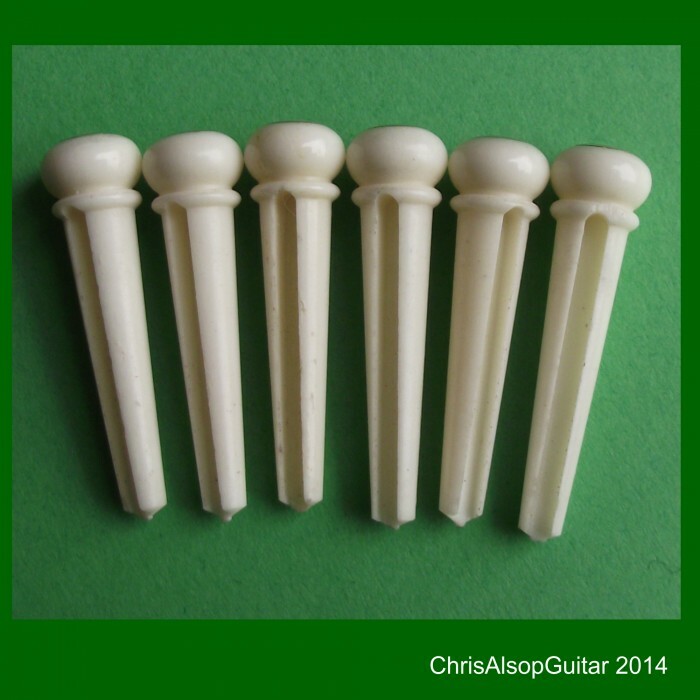 £16.45 per set of 6 & FREE Delivery in UK. 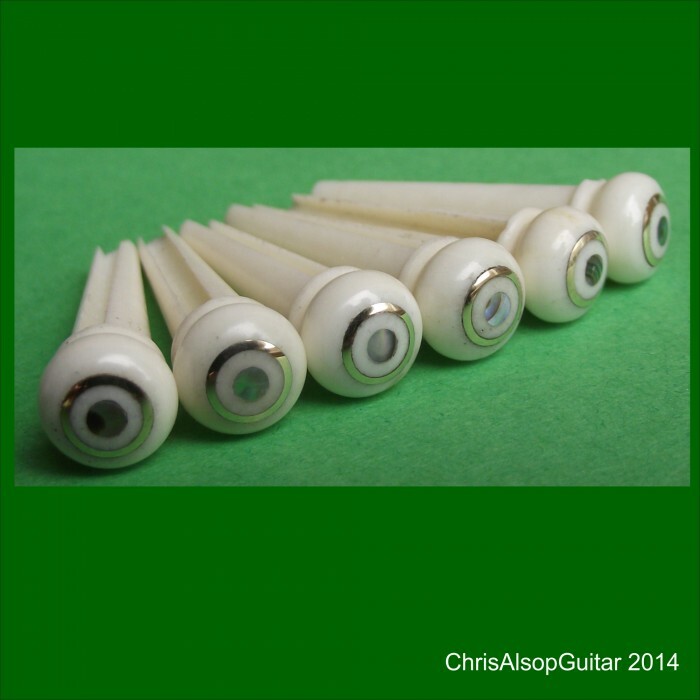 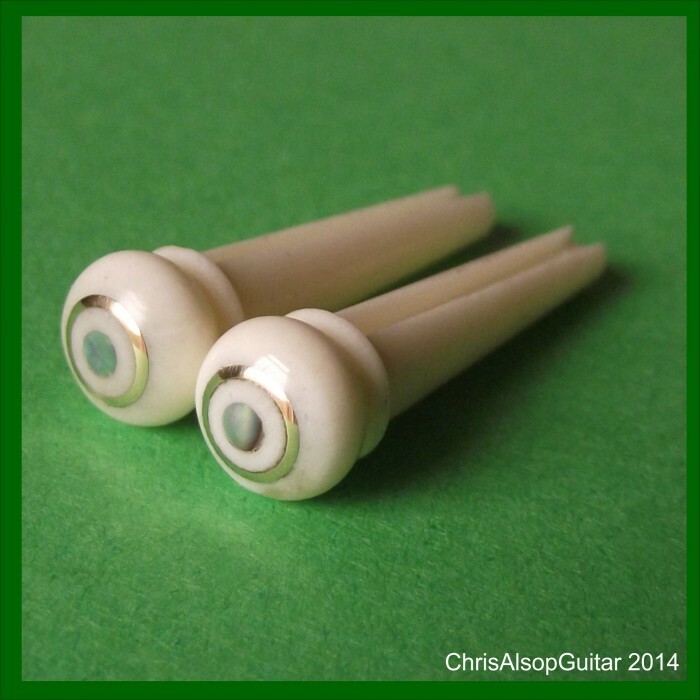 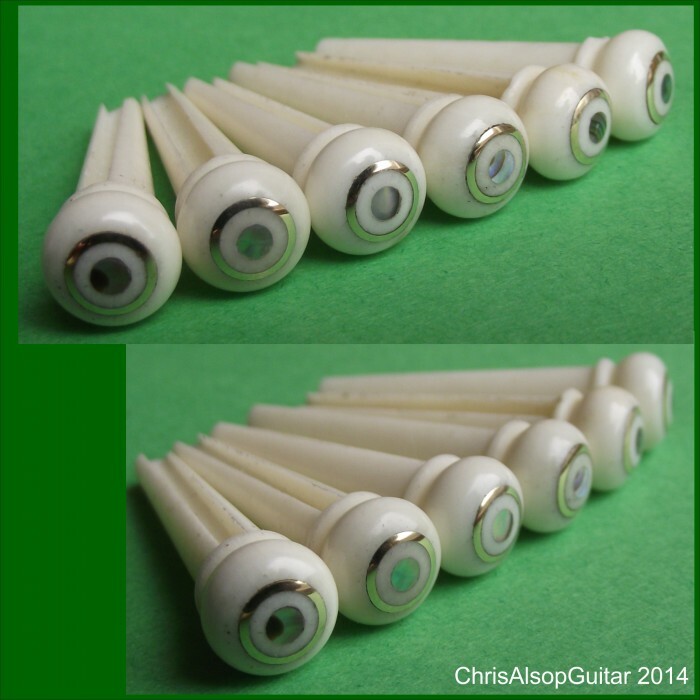 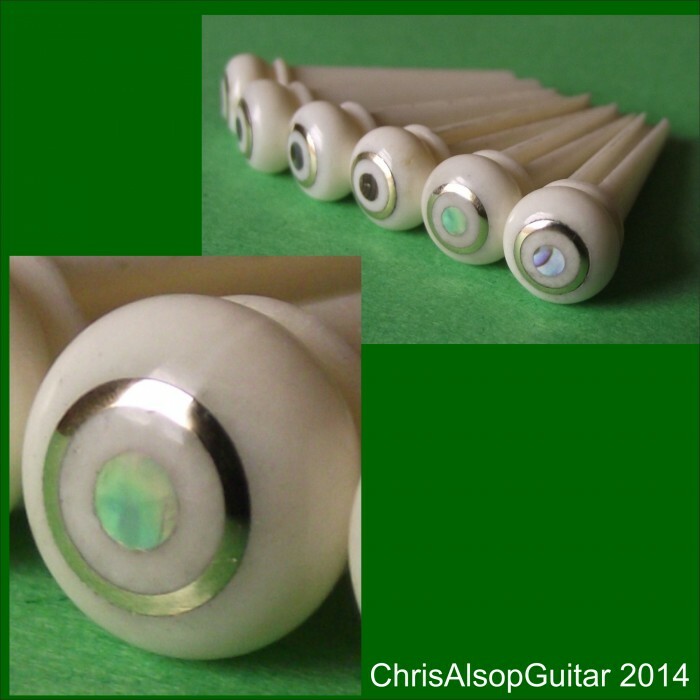 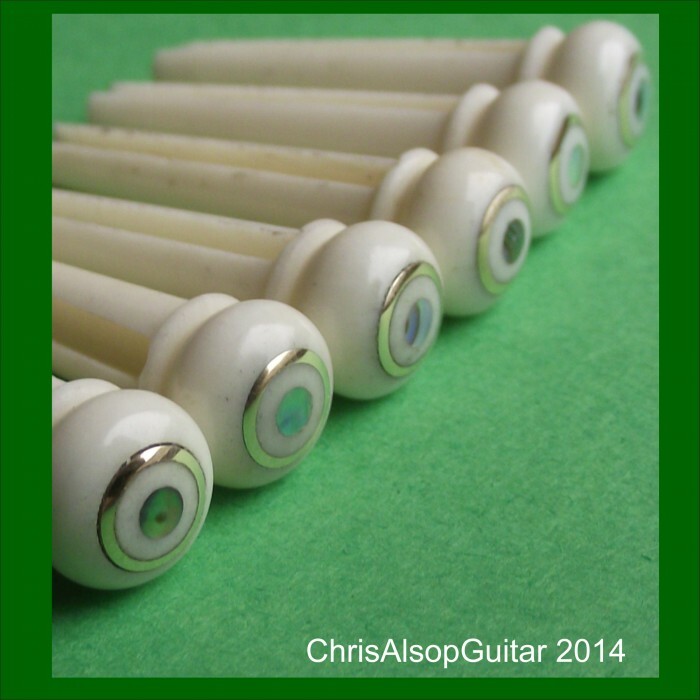 Set of 6 Guitar Bridge Pins, Water Buffalo Bone with Brass and Abalone Inlay. 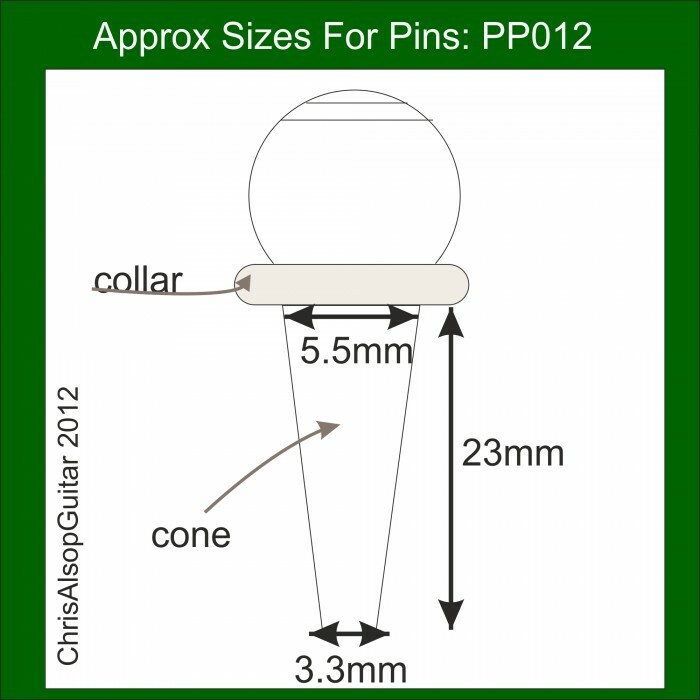 5.5mm at collar.